Are you struggling for ideas of gifts for 18 year old girls? 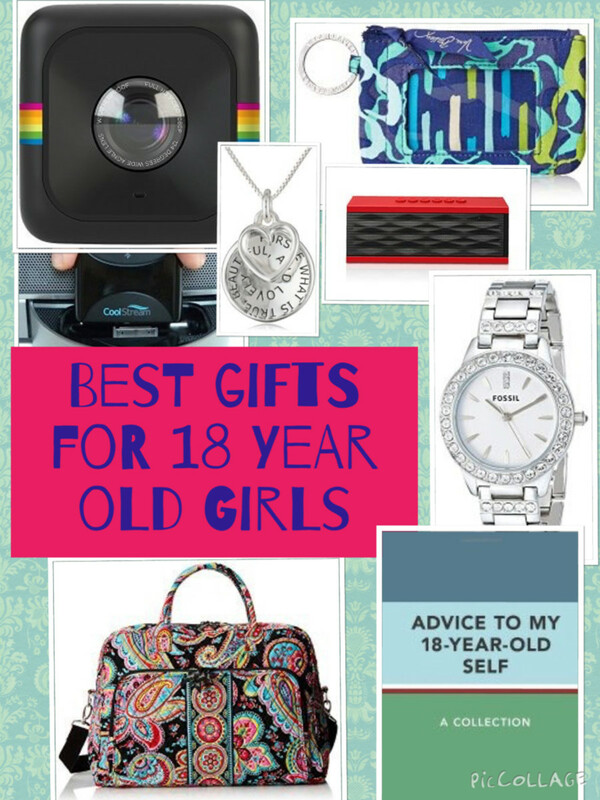 This article has the best gift ideas for 18 year old girls for birthdays and Christmas. Ideas include hair accessories, beauty gifts, music gifts, electronic gadgets, books, sports and fitness gifts, magazine subscriptions, and more. Many 18 year old girls are just starting out on adult life. She may have gone to college and will appreciate some new gear for her dorm room. 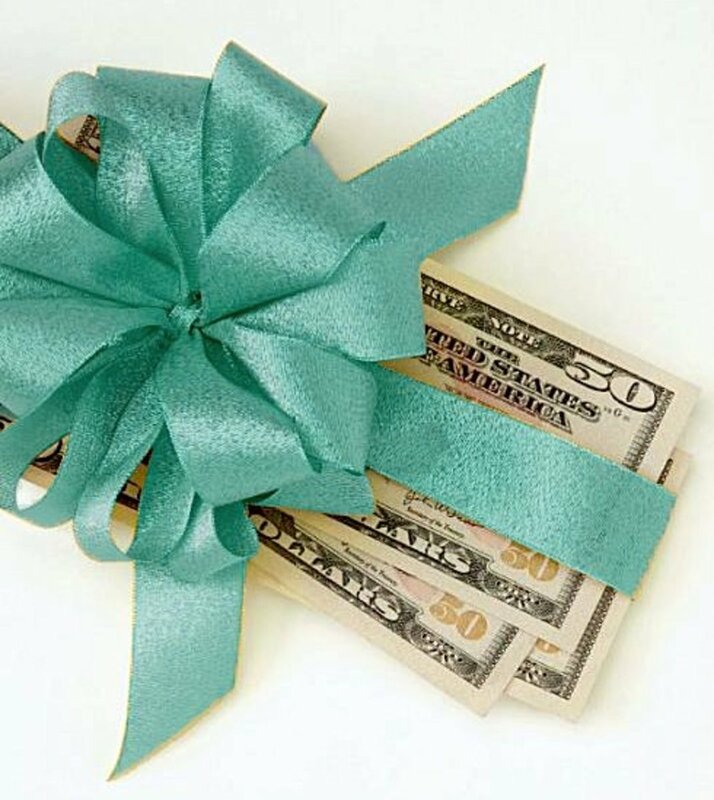 Perhaps she has a busy social life and will appreciate gifts she can use to look good such as jewelry, hair accessories or a voucher for new clothes. There are also lots of tech gifts you could give such as a tablet. If all else fails you can't go wrong with some money or a voucher! 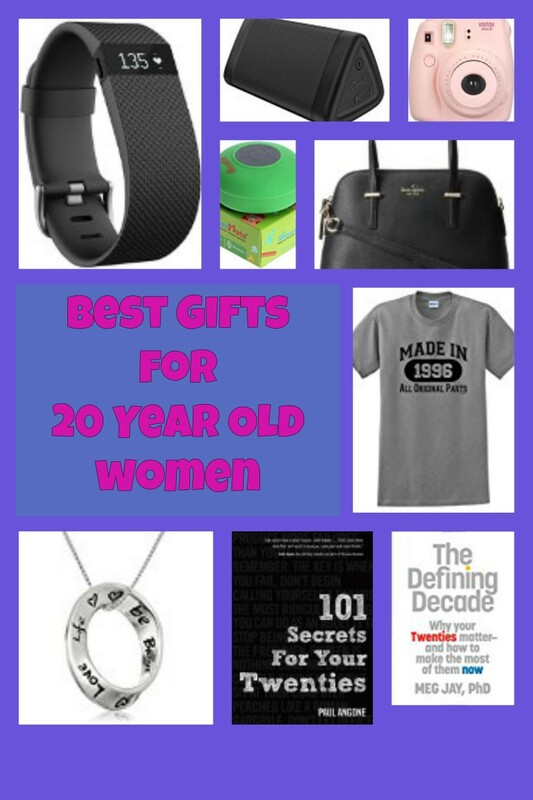 Read on for top gifts for 18 year old girls. 18 year old girls like to look good and there are many nice gifts for her hair. Some ideas include a new hair dryer, curling tongs or flat iron or some really nice shampoo and conditioner. Or what about a hair appointment at her favorite salon. Nice hairbrushes and gift sets may also be appreciated. This hair straightening brush is a fabulous hair tool that she most likely doesn't already have. It's really easy and quick to use. It heats up quickly and there are 16 different temperature settings she can choose to suit her hair type. It's a great alternative to a hair straightener, straight and frizz free hair in several minutes. Many 18 year old girls are moving out of home and going to college. She may even be moving into her home. If this is the case, than a nice gift for her room or home will be appreciated. Even if she is staying at home there are some fab accessories and gifts you can get for her room. Ideas include a digital photo frame with pictures of family and friends already on it. Also consider a new lamp, clock, alarm clock, pictures, picture frames, posters, cushions, and rugs . Another idea is a mini fridge. Great for keeping drinks and snacks cool. Perfect for quickly grabbing a drink while in the middle of a study session. Also good to have when friend's come around. What about a bean bag chair? They're great for chilling on and an extra seat in your room for friends. They're also great to have at college in a dorm room. Many 18 year old girls are studying or at college. Study gift ideas include study lamps, a new e-book reader, stationary or folders, book vouchers, a lap desk so she has something to rest her laptop on if she likes to sit and study on a bed or couch or what about the bed rest below? If she has started a new job, she may appreciate a gadget for her workplace or something she can use to work on the go. A bedrest like the one featured is great for an 18 year old who likes to sit on the bed or couch to read, use her tablet, look at a tablet or watch TV. It offers back support while she is sitting on the bed. The bedrests come in different colors. It has a little handle on the top which makes it easy to transport between rooms. It's a great gift is she is at college to use in a dorm room. Jewelry is a nice gift for 18 year old girls. Earrings, bracelets, rings and necklaces all make thoughtful gifts. Check out her style before buying. Maybe ask a close family member or friend know what kinds of jewelry she likes to wear. A cool jewelry gift is an inspirational pendant like the one below. You can get pendants with all kinds of different messages. The great thing is every time she wears it she is reminded of the message. Sterling Silver "The Journey Is The Reward" Twisted Pendant Necklace, 18"
The necklace opposite is a pendant enscribed with the message "the journey is the reward"
I think this is a lovely pendant with a poignant message for a young woman just starting out on adult life. A great self reminder to enjoy everyday life and the journey to your goals and not just focus on the destination. It is is just one example, there are many other pendants you could give her with different messages. Many 18 year old girls like listening to music. Speakers often make a good gift for 18 year old girls especially if she's moving away from home. For music lovers, there are some great bluetooth speakers available. Bluetooth speakers will play music from her phone or other bluetooth device. They are great as they are so portable and she can move them from room to room extremely easily. Or she could use them at a friend's house, outdoors or on vacation. Check out a shower bluetooth speaker below which can be used in the shower! A cool bluetooth speaker is the green bluetooth shower speaker featured opposite which is water resistant and can be used in or out of the shower. You can stream songs through your phone or other bluetooth device. You can also answer calls. And it could also be used in other locations such as the pool, around the home or in the car. Music gifts could also include tickets to see her favorite band or a download or CD of her favorite music. A bit of investigative work should reveal the type of music she likes or you could always get her a gift voucher. Other ideas include some nice headphones so she can listen to music on the go such as Beats headphones. Beats headphones aren't cheap but you get high quality for your money. Firstly, they are super comfortable to wear. They are lightweight and fold up so are easy to transport in your bag. They offer excellent sound. They also feature a color-matched remote-talk cable so you can change songs, adjust the volume and even take calls, without having to reach for your device. Finally they look great too. 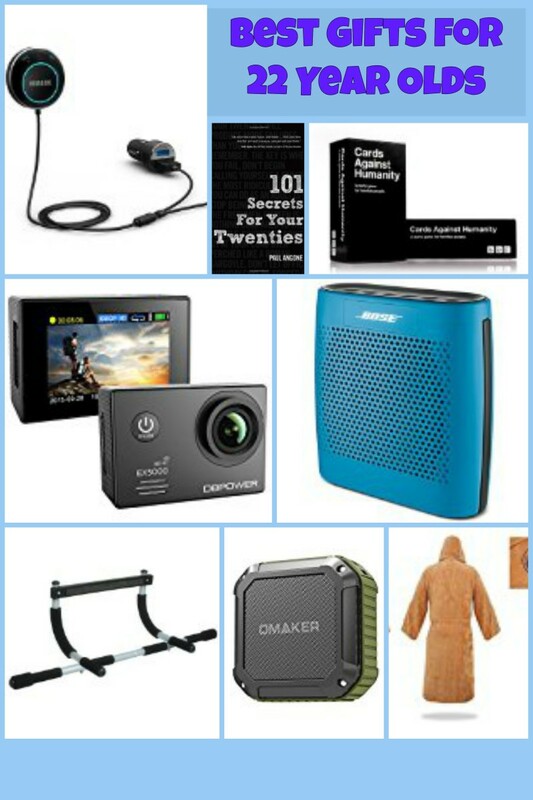 There are lots of electronic gifts that 18 year old girls may like. Some expensive and others not so expensive. Perhaps on the more expensive side is a tablet. 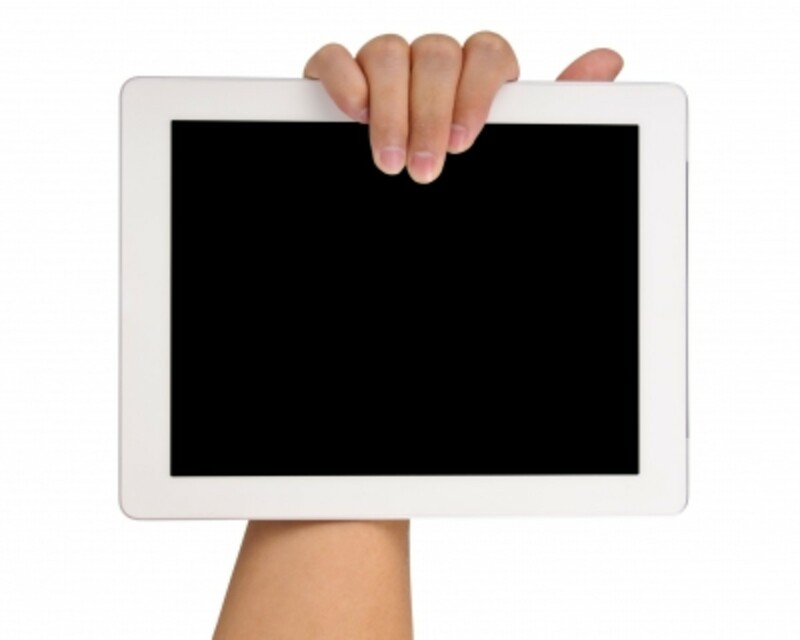 If she doesn't already have an ipad mini, more often than not she will love one. However, if you have a more modest budget, a really good value tablet is the Kindle Fire. Amazon's cheapest version of the Kindle Fire is now just $49. If you want to buy a budget tablet it's hard to go wrong with this choice. It has a beautiful 7 inch display and features front facing and rear facing cameras. It's great for reading, surfing the web, watching videos, and listening to music, fast web browsing and email. Amazing for such a low price! An mp3 player - such as an ipod shuffle. A smart TV for her room. A camera - a high quality digital camera for taking photos or what about a camera that prints photos instantly like the Fujifilm instax below? Many 18 year old girls love reading magazines so a subscription to her favorite magazine should be very much appreciated. Perhaps consider Cosmopolitan or Vogue. There are lots of nice personal accessories you could purchase an 18 year old girl. 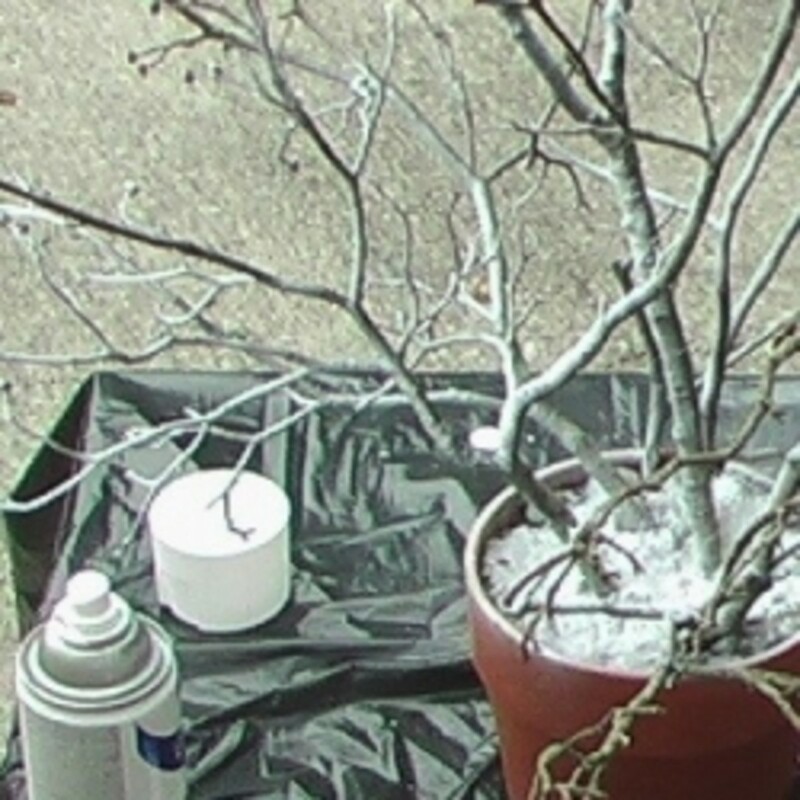 Ideas include bags, sunglasses, hats, scarves or gloves. 18 year old girls like to look good and most will love clothes. If you're a bit unsure about the clothes she would like, why not take her on a shopping trip and buy her something she would like or get a gift voucher to her favorite store. What about the "made in 1998 t-shirt"? It makes a cool gift for an 18 year old to wear on her birthday or at a birthday party. She can also wear it for years after the day itself or on her next birthday too. The t-shirt opposite is in pink and quite fitted but you can get them in different colors and with a looser fit if you prefer. A new bag is another idea. There are lots of different types of bag you can get to suit her interests and personality. A backpack is great for carrying books for college or school, or equipment for sports or the gym. Purses are great for everyday use. Hobo bags are also cool, perfect for when shopping or when she's out and about. You could even get a weekend bag for stopping over at friend's houses or for weekends away. A wristlet is a cute, stylish but practical gift for an 18 year old lady. It's a good alternative to have when she needs to carry her essentials (phone, cards, money etc) but doesn't want to carry a bigger purse. Just wrap the strap around your wrist and off you go. It can also be used inside a bigger purse. She will always have her essentials easily at hand when she needs them. As she can use the strap to put around her wrist, it's easier to keep you stuff safe when being used on nights out or for everyday use. Vera Bradley prints are very popular and there are numerous different colors and styles available. For the sporty girl you could get a nice sports bag for the gym. If she practices a chosen sport, you could buy some equipment for the sport she likes. Or if she likes to work out at home, what about a home workout DVD or some home gym equipment? Another cool gift idea is the activity band featured below. An activity tracker is a great gift for an 18 year old lady who wants to improve her fitness. It also tracks her sleep and lets her know how well she slept. It gives reminders to move and has a long battery life too (up to 5 days). Obviously the books that appeal to 18 year old girls are going to vary widely depending on the genres they are attracted to. If they like to read fiction, find out what authors appeal to them from family members who can help you choose the right kind of book to buy. However for gifts, non fiction books are often easier choices. It's quite often to give a nice gift to give a fun and practical book. Some ideas include books on beauty with tips for maintaining healthy skin and hair through diet, exercise, and all-around wellness to books showing everyday makeup techniques and tricks of the trade for special-occasion looks. Cookbooks are a fab idea for 18 year old girls as many will be going off to college for the first time or cooking for themselves and will need all the help they can get. Other books with practical skills include books with driving tips and study manuals. A great one for college students is the Naked Roomate featured below. If she's studying, a book voucher so she can buy the books she needs for her studies can be very useful. There are also lots of practical books for students living away from home. Ideas include student cookbooks or guides to college life. If the 18 year old you know is heading to college soon another great book gift is The Naked Roomate. It covers everything you need to know about the living and social aspects of college, from roomates and relationships to finances and laundry. It even covers life inside the classroom! 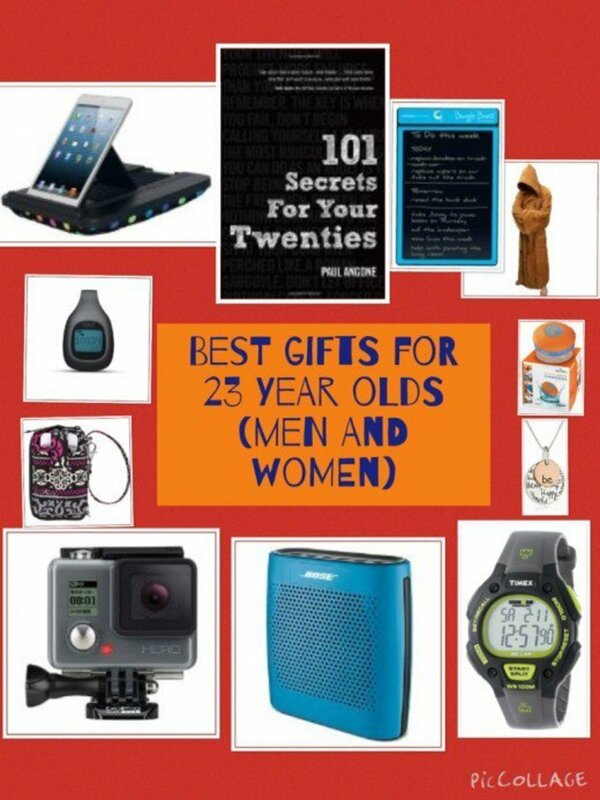 Many 18 year olds are starting adult life and there are tons of practical gifts to help her organize her life. They include stuff for the home, such as notebooks, journals and calanders. If they are moving out of home, you could get them a useful gadget for the kitchen or other room. A coffee making machine is one idea. Even something as simple as a fun mug for everyday use. The Boogie board below makes a unique practical gift that can be used for everyday use. The Boogie board is a writing tablet and makes a really practical gift idea. She can use it to make notes while she studies. Or perhaps write to do lists. Use it to leave messages for other family members or house mates. Write shopping lists. Use it to doodle when bored or travelling. Take phone messages with it and lots more. It's lightweight, thin and therefore super portable so she can take it with her wherever she goes (to college work or on vacation). When she's finished with her notes, press a button and it will be magically erased leaving a clean slate to write something else. Pajamas, onesies, dressing gowns and bath robes all make great practical and comfortable gifts. There's not many girls I know that wouldn't appreciate a comfortable pair of pajamas to sleep and lounge around in. Slippers are another great practical gift which can be fun. There are all kinds of novelty slippers to ones featuring animals to slipper boots with pom poms. In winter, slipper boots are perfect to keep the feet warm and cosy. In the summer, warmer weather leads to people discarding the warmer, fluffier types of slippers and replacing them with more lightweight options. If the 18 year old girl you know drives a car, there are lots of gifts you can get her. Ideas include a bluetooth speaker for the car, so she can stream music from her phone through her car speaker. You can also get all kinds of accessories such as cute steering wheel covers, car seat covers, a novelty keyring, a holder for her iphone or a gps. Or what about the car seat organizer? If you know a teen who's car could benefit with a little organization an organizer that hangs over the seat could make a nice gift. She can fit in her ipad or cellphone, tissues, water bottles, pens, notepads, or whatever she needs. A car trash can is another cool idea to help clean up mess in the car. 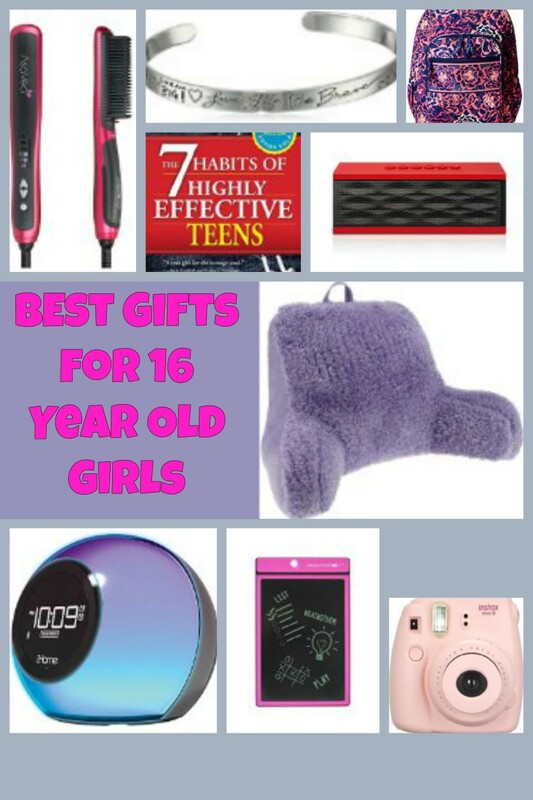 18 year old girls also like to look good and there are lots of great beauty gift ideas for this age group. What about making the beauty gift an experience and taking the 18 year old you know on a spa day or a trip to the beautician for a manicure, pedicure or facial? Other ideas include perfume, make up or nail varnish kits, bath sets and moisturiser. Make up brushes, cleansing sponges such as the beauty blender sponge, make up and jewelry organizers could also be very useful. There are some cute cosmetic bags which are great for transporting all her make up and toiletries when she is visiting in friends. Shower caddies are perfect for organising all her shampoos, shower gels and conditioners in the bathroom. An expensive make up set which is normally outside her budget may also be appreciated. Compact fold up mirrors are perfect for putting in her purse on a night out. 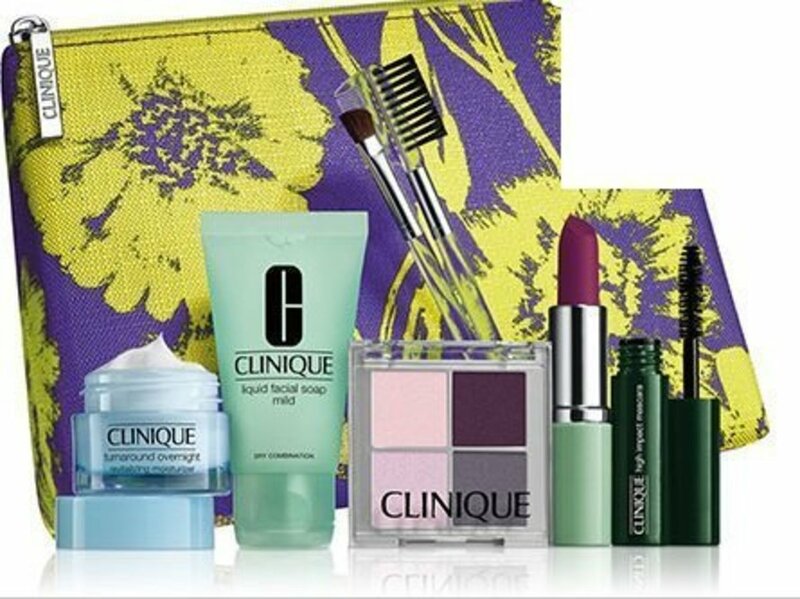 I really like make up sets which allow her to try different products like the clinique set featured. These sample sets feature lots of mini goodies depending on which set you purchase. Some include eye and night cream, makeup remover, rinse-off foaming cleanser, eye shadow, soft-pressed powder, lipstick, mascara and lip gloss. Best of all these sets come in a printed cosmetics bag. Once you've used all the cosmetics the bag comes in useful for putting in other make up and beauty products. 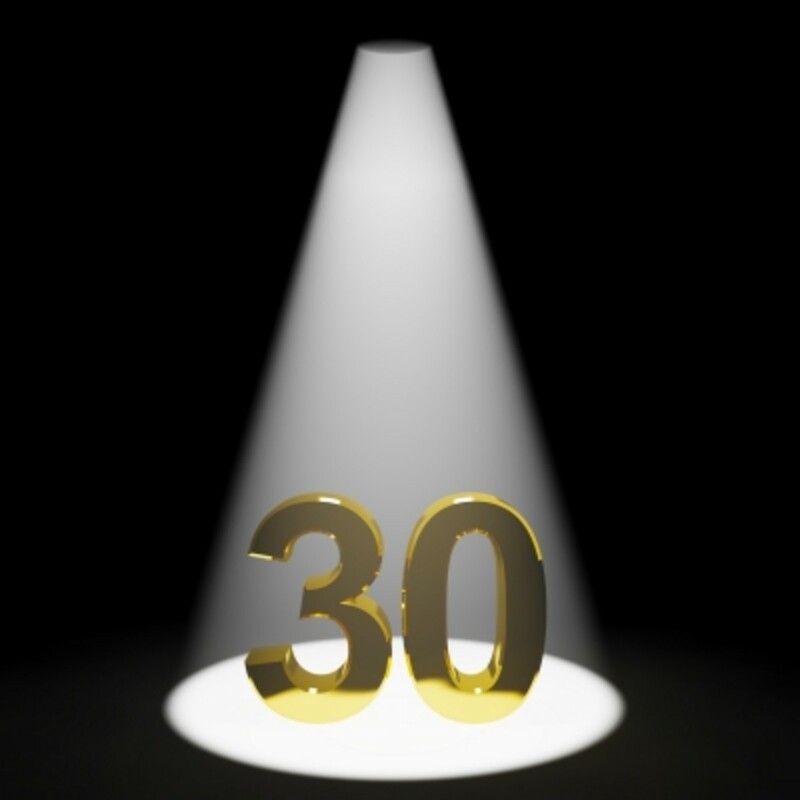 What Do You Think Is The Best Gifts For An 18 Year Old Girl? My sister was turning 18 and this tips and gift ideas will really help.